Amidships, the Zefiro’s nearside kitchen boasts a compact, L-shaped work surface, a reasonable amount of storage space and a combined oven/grill. This was our first close encounter with Thetford’s new slim-tower fridge/freezer and we were impressed. The large separate cool drawer is perfect for storing fresh vegetables and the like. 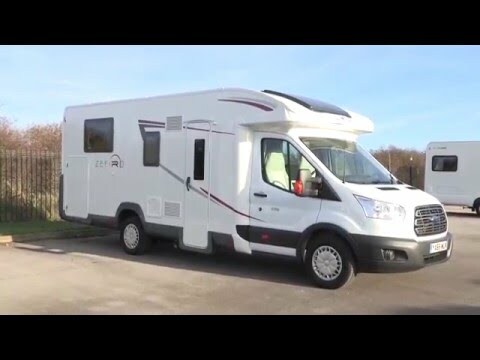 We considered four factors when evaluating the island bed in the 696, as we do for any motorhome berth: ease of access and egress, sensible size, firmness of the mattress and a lack of joins. The last can be a problem with beds that are assembled from seat cushions. Not here, though: this island bed gets full marks from us. We also appreciated the individual hanging wardrobes, reading lights and an abundance of surfaces on which to place drinks, specs, Kindle and whatever else.